KETV recently covered One Touch Housing in a segment titled, “Partnership leads to healthier, energy-efficient homes.” Omaha One Touch is a partnership between 7 public and private housing organizations including Rebuilding Omaha, Habitat for Humanity, Omaha Healthy Kids Alliance, City of Omaha Planning, Douglas County Health Department, Omaha Public Power and Omaha Housing Authority. 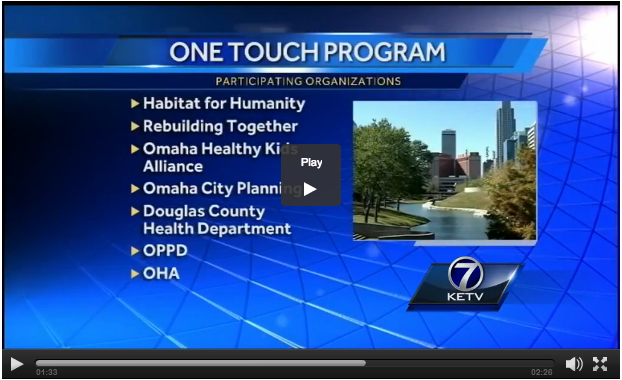 One Touch is proud to provide these services to residents in Omaha. Watch the video below to learn more!